ARINC Industry Activities (IA), an SAE ITC Program, has signed a memorandum of understanding (MoU) with the International Civil Aviation Organization (ICAO) to share technical information in the areas of air traffic management, aircraft communication, navigation and surveillance technology. ARINC Industry Activities (ARINC IA), an Program, has signed a memorandum of understanding (MoU) with the International Civil Aviation Organization (ICAO) to share technical information in the areas of air traffic management, aircraft communication, navigation and surveillance technology. "The agreement aims to help increase overall safety, sustainability and efficiency for the aviation industry. The agreement solidifies and formalizes a long-standing cooperative relationship between ARINC IA and ICAO to share technical information dating back to the 1940’s,” Mike Rockwell, Executive Director,ARINC Industry Activities, noted. 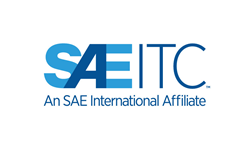 ARINC IA, an SAE ITC program, organizes aviation industry committees and participates in related industry activities that benefit aviation at large by providing technical leadership and guidance. These activities directly support aviation industry goals: promote safety, efficiency, regularity, and cost-effectiveness in aircraft operations.